Astro is launching another great contest for all you recipe lovers! 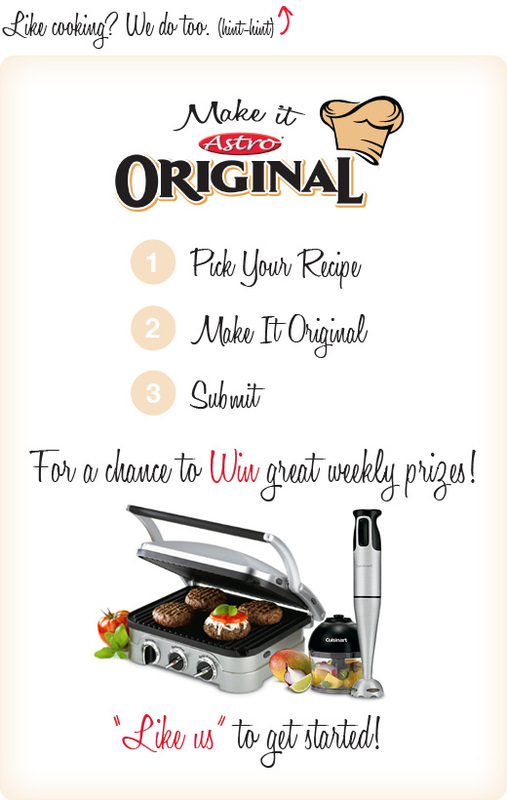 Visit astro.ca today and check out the new "Make It Original" Contest! Starting June 27th, 2011, you can pick an Astro recipe from the weekly options, and then "Make It Original" by adding or changing some of the ingredients. Have a great idea for a recipe? You can also add a totally new recipe if you like.